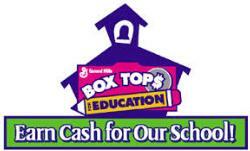 Offered through General Mills, Box Tops for Education is an ongoing fundraiser with no extra cost to the participant. Through notices in the school newsletter, parish bulletin and classroom contests, we encourage families, friends, parishioners and alumni to clip the 10 cent ‘Box Tops’ coupons from participating General Mills products. The Box Tops are sent into General Mills for compensation to the school. We are enjoying new playground equipment including a new ball cart, thanks to Box Tops. Bring your box top coupons to the School Office on any regular school day. For more information or to donate, contact our School Office: 707.224.8388 or Schoolinfo@SJTBCSchool.org Thank you!